The Spirit engrafts believers into Christ, and in Him we receive a double grace: justification and sanctification. Justification states that we have been declared righteous by the imputation of Christ’s perfect record unto us once and for all (Rom. 5:12-19). Sanctification declares that in Him we are new creatures: I died and a new self has arisen (Rom. 6; 2 Cor. 5:17), thus freeing me for moral renovation. Now, what comes to mind when we think about sanctification, or, the progress toward holiness and sanctity of life? Depending on the cultures in which one lives, one might have in view the saint who enjoys a steady progress toward godliness, or someone who simply performs well and is seen to be stronger day by day. In fact, we might even be tempted to think this: ‘if you really claim to be a Christian, why are you still struggling with so and so?’, ‘are you really a Christian if you confess such weaknesses, if you feel those emotions?’ ‘was he or she really a Christian if that person now lapses into this state of despair or sin?’ Somehow, we are tempted to think that sanctification is this constant unimpeded and painless growth, and that the intrusion of the new life principle into us renders us invulnerable to certain kinds of temptations or attitudes. In the Chinese-Indonesian context in which I live, the model of the Christian saint is often taken over by that of the wise patriarch or matriarch: a serene life of desireless contentment, and a person who speaks nothing else but peaceful words of sage-wisdom. Consider this, however: how does Paul describe the process of sanctification? In no uncertain terms, sanctification is death to an old life: "We know that our old self was crucified with him in order that the body of sin might be brought to nothing, so that we would no longer be enslaved to sin." (Rom. 6:6). This death to an old life, however, does not mean that we become instantaneously perfected, but rather continue to live in a "body of death" (Rom. 7:24), that is "wasting away" (2 Cor. 4:16), and against which the inner self battles. We long for the resurrection of our bodies, our adoption as sons, when God completes what he began. Now think about that for a moment. The beginning of sanctification is described simply as dying. What comes to mind when death is contemplated? Delightful feasting? Tearless singing? Without denying that joy and peace are part and parcel of the fruit of the Spirit, sanctification’s imagery invokes, nonetheless, the hardship and decay of death. Our sinful selves, in other words, needed mortification. Nothing less than death can lay aside our old selves. The description here becomes even more stark: get to work to killing sin. And not only that, kill that which remains inside you: endeavor to kill the old self, and endeavor to feed the new self, the true self that rages against the earthliness that remains within. The language cannot be tempered into a serene image: the work of sanctification is bloody, gruesome, and exhausting. Death brings into view decay and struggle, and vivification of the believer is a battle daily enacted. The difference, then, between the believer and unbeliever is not comfort in holiness but a constant struggle to live into it. It looks like grief and daily resurrection, not the calmness of one who has already arrived. Because [mortification] is directed against what trespasses upon the renovated creature, mortification is not an assault on created nature but precisely the opposite: an assault on the sin which opposes created nature’s regeneration… And so mortification is not hatred of embodied life but opposition to death dealing vice, its purpose being not nature’s destruction but the ordering and forming of regenerate conduct’. Because its spring is contentment with God and God’s gift of the new nature, renunciation is the pursuit of happiness. But because we are not converted in an instant, we need to be unfastened from what leads to sorrow. This detachment from cherished goods and deep-seated habits is rarely painless. Regenerate life involves the bearing of the cross and brings affliction. Like a dying body with a dead heart that just received an alien heart transplant, our decaying old selves continue to resist the restored living heart that renews our natures. Self-denial, progress in holiness, and growth into Christlikeness looks a lot like the life of Christ himself, who, though without a sin nature, continued to grieve, and bled, and died against the forces of the world and the devil. For us in union with Him, it looks like a constant walk of repentance, of seeing the depths of what continues to lie within, of seeing how far we are to the final state of perfection, of groaning for Christ’s return, of praying in patience, and of enduring in affliction. It involves nothing less than sustaining oneself with Him in the furnace of suffering and trials (1 Peter 1; James 1:2-12). The saint, in other words, is not the glorified savior but the afflicted sinner who fights for holiness and who is often in horror at seeing what remains to be killed. We cannot do this alone. Come alongside one another. Be the body of Christ that finds nourishment by joining with one another and feeding from our Head. Patience, peace, and joy are promised, but they are enjoyed as we all stand steadfast, fighting with our new lives, and enduring unto excellence of character (Rom. 5:1-9). John Webster, ‘Communion with Christ: Mortification and Vivification’ in Sanctified by Grace: A Theology of the Christian Life, eds. Kent Eilers and Kyle Strobel (London: Bloomsbury, 2014), 133. Webster, ‘Mortification and Vivification’, 135. 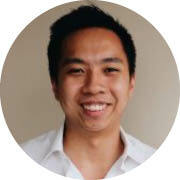 Gray Sutanto is a teacher and Co-Founder at the Gathering, Jakarta. He also serves as an elder at Covenant City Church, Jakarta. He is a PhD candidate in systematic theology at the University of Edinburgh and a member of the St. John Fellowship of the Center For Pastor Theologians.